How awesome!!! As you all know, this is something we can all get behind. Besides Spud and Junior, we were all adopted from shelters (Spud was a rescue kitten and Junior was live trapped during TNR). Remember - so many animals lose their lives in shelter not due to their own faults but due to lack of adoptions. Adopt one - save two!! 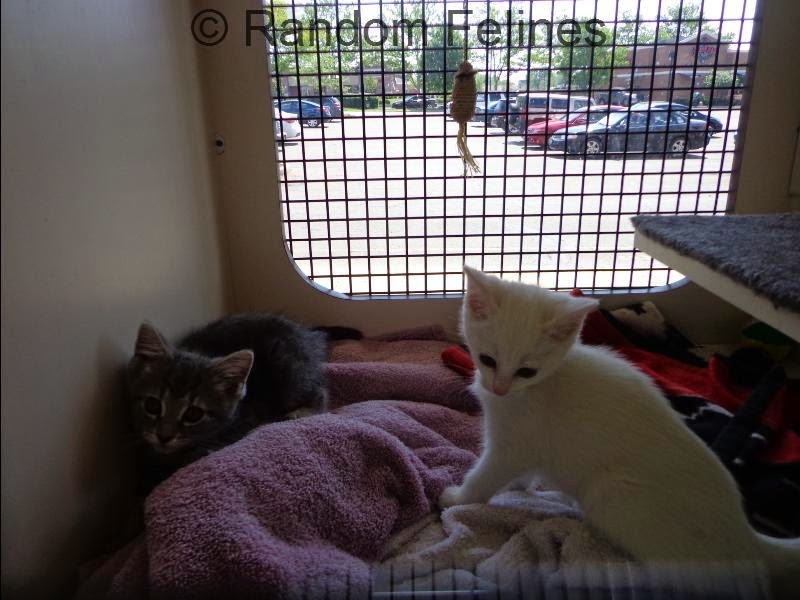 Today we are showcasing three kittens that are available now at our local Petco store. They were fostered by our new friend Miss Alsyssa (the lady who took the little orange tabby boy that was born to EMC. He was named Rocky and has already been adopted). 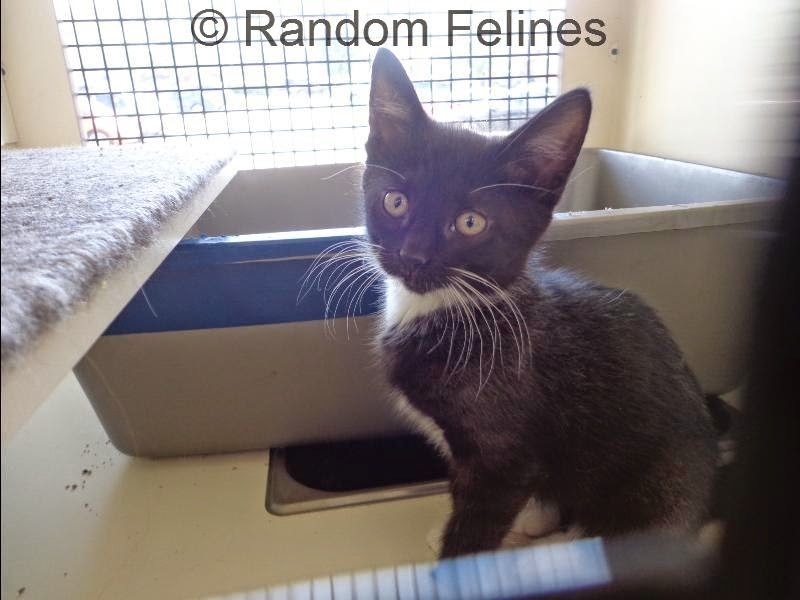 You have already met Cora (the tuxedo) when she was here shortly before going up there with Cinco. Well, Cinco got a little snotty and so she came back here. Mom picked up Cora's siblings from the adoption center and they are all now together. Daisy is the white girl (with gold eyes - her hearing is fine) and Thomas is the gray tabby boy. They all get along great and are very sweet. Cora is more about finding way to get out of the cages, Daisy is a little shy but warms up quick and Thomas is just a lover. Their mom Sugar is white as well and was trapped during an effort to TNR. She is super friendly as well and gave birth to the kittens in the live trap. She is available too. Oh we sure hope all of you find that forever home really really soon. You all are so cute. Have a great day. My mom really likes Cora!!!! 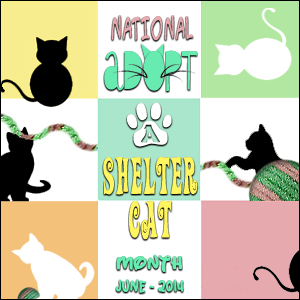 Adopt A Shelter Cat Month is my favorite month! Squee they are so darned cute! Aww, so cute! Hope they get homes soon! Oh! Paws crossed for these cuties!!! They are sooooo cute! Sharing. I hope they find homes soon. They are adorable, I'm confident they'll find fabulous forever homes! Yes! Opt to Adopt! And who could resist those gorgeous kitties?